Many people view the start of a new year as a chance for new beginnings. A fresh start in 2016 can mean different things to each person. 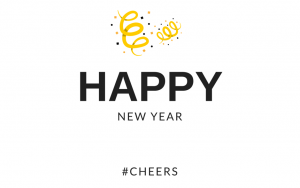 To us, 2016 means a chance to share positive energy with you all year long. We plan on sharing inspirational quotes, energy tips, and initiatives towards a happier and healthier life at home. Keep an eye out for our weekly #PowerTipTuesday posts where we’ll share a variety of energy tips to educate and inspire you throughout the year. We wish you a happy and healthy new year! Here’s to new beginnings and a more positive everyday life!